CSR - Myth or Reality? 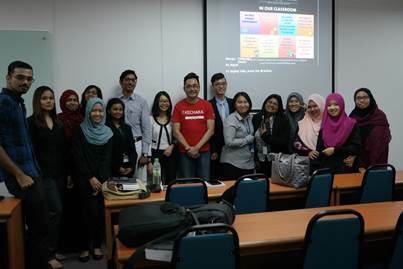 A group of students from the APU School of Accounting, Finance and Quantitative Studies (SAFIQS) recently participated in a Corporate Social Responsibility (CSR) Forum titled “CSR – Myth or Reality” on Monday, 18 April 2016. The forum was part one of the 3-phased CSR project plan initiated by the school. At the forum, Mr. Justin Cheah from Kechara Soup Kitchen Society, Mr. Suresh Naidu from Fun Charity and Ms. Julianna Ooi from Selangor & Wilayah Persekutuan Family Reproductive Health Association (FREHA) provided an insight into their experiences as youth volunteers and the various projects carried out by their organisations. 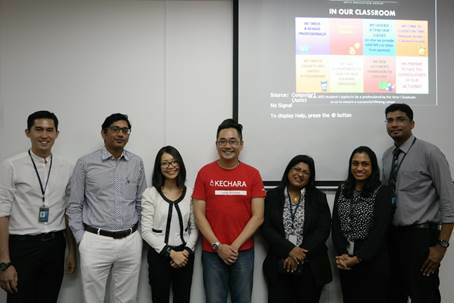 The session also included a briefing on Integrated Reporting by Ms. Geetha Rubasundram, which includes Corporate Social Responsibility as part of the Value Creation process and reporting. The forum marked the start of the second phase whereby the students would be raising funds via a donation drive to fund the final phase – a half-day outdoor activity hosted by APU students for a group of orphans from selected orphanages.